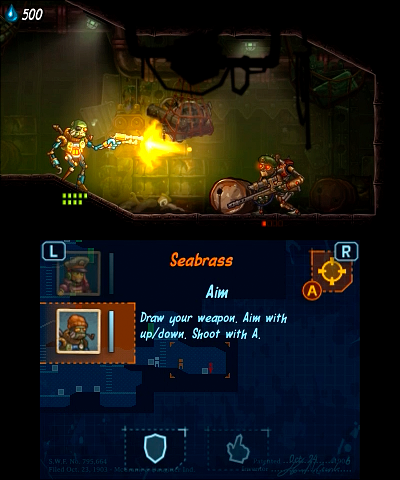 SteamWorld Heist is the eagerly anticipated next release from Image & Form, which is heading to Wii U, 3DS and practically every format available. 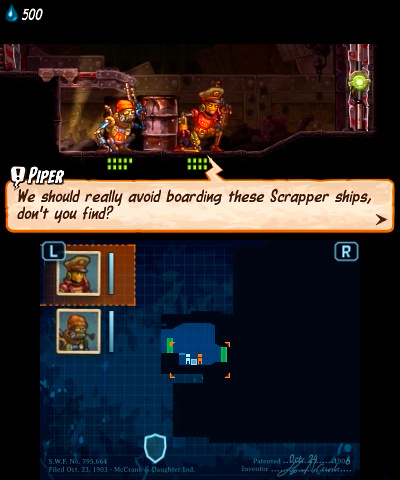 All of the screens and footage shown to date have been for the HD version, yet now the studio's unveiled the first screens for the portable iteration on 3DS. 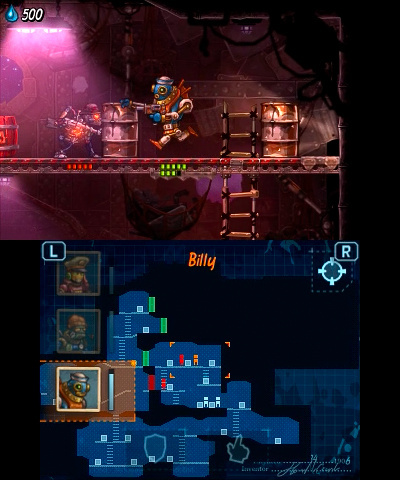 The big positive is that, just like SteamWorld Dig before it, it's looking rather good. 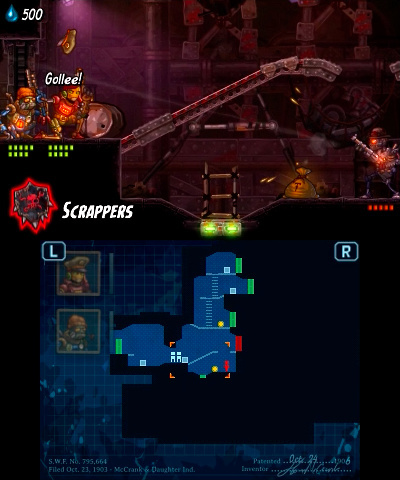 The top screen naturally shows the action while the bottom screen has control instructions, icons to swap between team members and a handy map. It looks like a decent setup - you can see the first screens below. 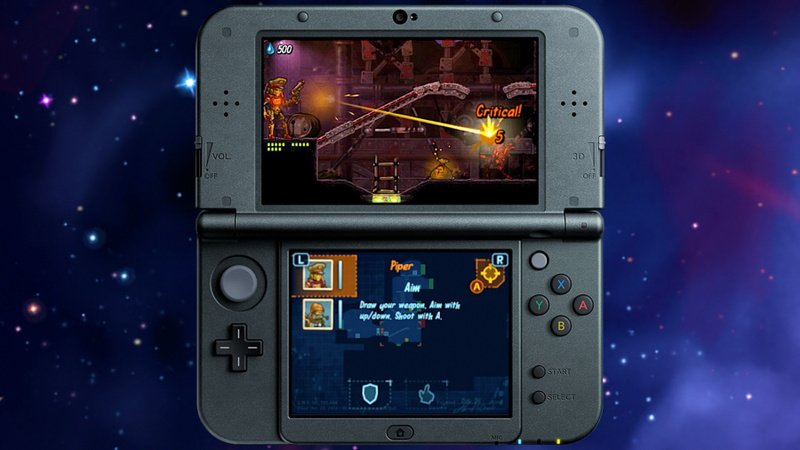 Let us know what you think of this first look at the 3DS iteration, and be sure to check out the official Image and Form blog to see the winning entries in the most recent SteamWorld Ambassador one-liner contest. Can't wait and most likely will be my version choice. The link to the blog at the bottom of the story is broken . But otherwise really hyped for this game. This is the version I'm excited for I love the 3D effect on these types of games can't wait looks AWESOME.. If it's as good as the last game I might get it on Wii U and 3DS just to support them. I can't remember if there was some kind of discount on the Wii U version of the last game if you already had it on 3DS or not. Looks good, I will buy it. Anyway, I can't wait to play this game! Any performance bonuses on New3DS? 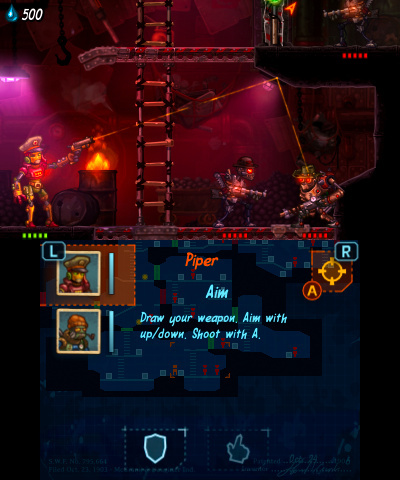 @Nintendian SteamWorld Dig is on Steam. 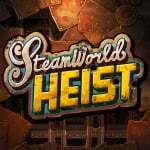 Still, the 3DS wins with that one and StemWorld Tower Defense Code Name S.T.E.A.M.